Traditional Irish food is enjoyed for all the Irish holidays. The Irish people enjoy most of the same holidays which we do here in the United States. With these holidays comes the feasting of favorite recipes. Corned beef and cabbage is traditional for most holidays and special occasions. All kinds of apple recipes perhaps served with a sweet custard sauce, fresh breads, meats and many vegetables are common. Like here in the United States, a traditional meal includes a meat, a starch which is mostly potatoes and a vegetable. Most holiday meals include a lot of traditional Irish food; several meats, soda bread, mashed potatoes, cabbage, dishes of potatoes mixed with vegetables like (my favorite) colcannon, maybe a stout layer cake with chocolate frosting. Most holiday celebrations also include parades, parties with family and friends and dancing. New Years Eve is celebrated in Ireland like many of us do with traditional Irish food. We all countdown to New Years Day with hopes of new things, more money and a great life. New Years Day in Ireland is sometimes known as “Day of Buttered Bread”. This is because of the tradition involving a large loaf of bread or large cake. The baked loaf was taken outside and pounded against the closed door symbolizing good luck in the New Year. Traditionally corned beef and cabbage with potatoes, carrots and onions is the food which also brings good luck. St Patrick’s Day on March 17 is a holiday started by Irish American immigrants in this country. For this newer holiday the traditional Irish food has been included for this celebration. Corned beef and cabbage a favorite food along with soda bread, traditional Irish stews and anything shaped like a shamrock and colored green including green beer. Easter Sunday and Monday are both holidays in Ireland. For Lent many gave up eating meat and maybe their favorite food and drinks. Easter is time for celebration and resuming the enjoyment of these foods with much feasting. Usually foods included are several meats and poultry, hot cross buns, cabbage and potatoes. They celebrate by having egg rolls, the rolling of hard boiled eggs down the hill, for the children’s enjoyment. May Day is a celebration of spring and the arrival of summer. It is celebrated by the Irish and many countries of the world. The tradition surrounding this day goes back to Pagan times with the gathering of spring herbs, berries and fresh green. Celebrations often include dancing around the May Pole, activities with fire and many flowers. The traditional Irish food prepared for this day includes oatcakes or bannock made with eggs, milk and oatmeal. As in many countries, Christmas is celebrated with traditional Irish food. Some of the Christmas food includes recipes for well seasoned beef, ham and other meats, perhaps a goose. The Irish potato is a staple so for Christmas there might be a selection of potato dishes on the dinner table. Delicious well seasoned gravy is made to serve along side of the meat and potatoes. The dinner includes a colorful selection of vegetables like Brussels sprouts, carrots and parsnips. As in many countries around the world, the list of traditional Irish food must include favorite holiday desserts. The Irish have great Christmas cakes, Christmas puddings, mincemeat pies served with brandy or rum sauce, cookies and other sweets made with Irish whiskey. The day after Christmas is also a holiday in Ireland. It is called St. Stephens Day or Boxing Day. This makes sense to me! Who doesn’t need a day to recuperate after Christmas? Actually, this is a serious holiday being named for the first Christian martyr. Traditional Irish food is made with the leftovers from Christmas dinner. Leftover meat and vegetables with flavorful sauces were used to prepare delicious hot meat pies. On this day the children dress up and paint faces and then go from house to house of family and friends. Many traditional Irish food recipes are made with Irish whiskey. NOTE OF CAUTION: When igniting the steaks use a very long match (fireplace matches) or a kitchen lighter. Ignite at the edge of the pan so your hand is not over the flame. 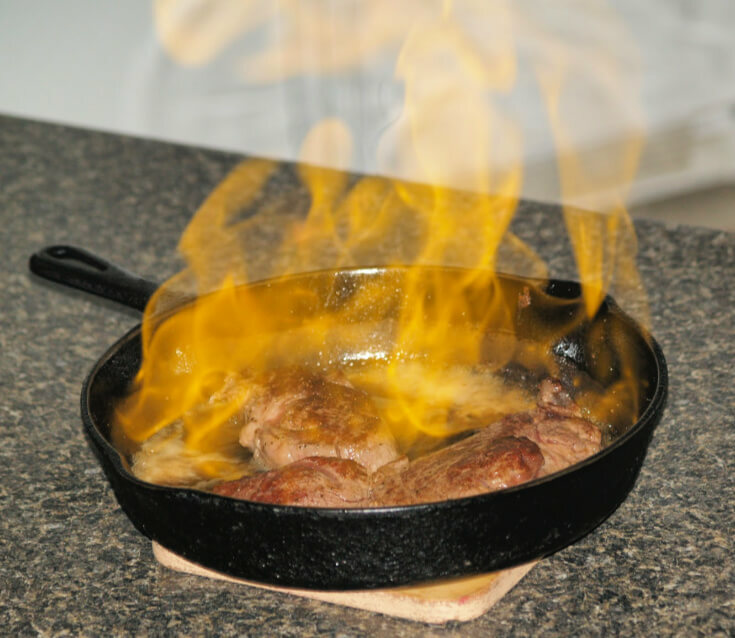 Add oil to a skillet; heat over medium high heat until hot. Add steaks to the skillet; cook 10 to 15 minutes turning one time. NOTE: Thermometer should reach 160F degrees for medium. Pour the Irish whiskey over the steaks; ignite with a long match. Stir until the flames die down (Using long handled spoon). 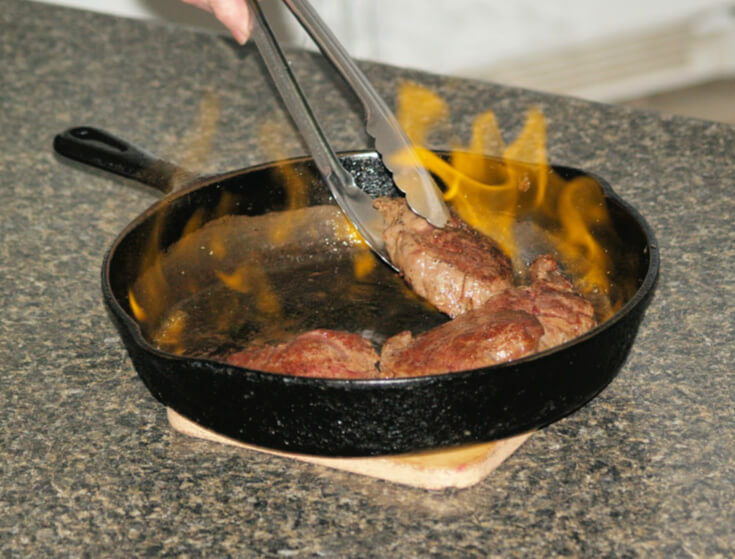 Remove steaks and keep warm; reserve drippings in skillet. Add whipping cream to the drippings; stir and heat until hot. 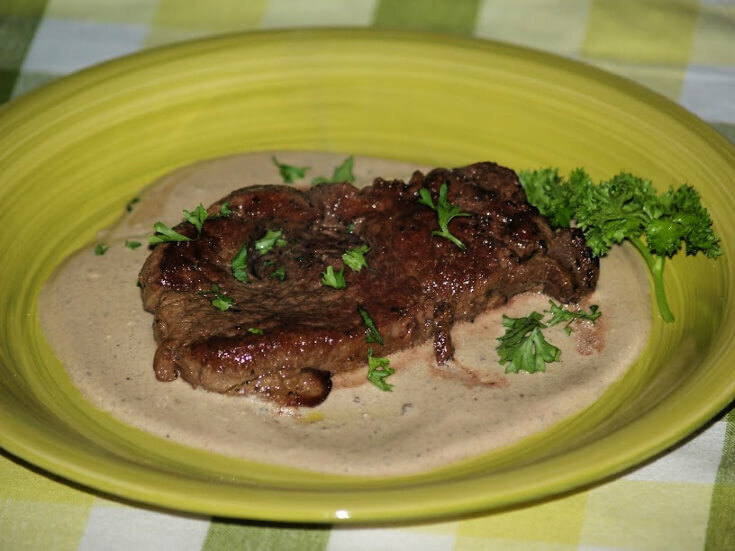 Serve steaks with the cream sauce; garnish with fresh parsley. Traditional Irish food always includes good breads and rolls. Dissolve yeast in ¼ CUP of the hot water and PINCH of the sugar. Pour 1 CUP of the hot water over remaining SUGAR and butter. Beat sugar and butter with mixer; beat in eggs and salt. Add the yeast mixture and 2 ½ CUPS of the flour. 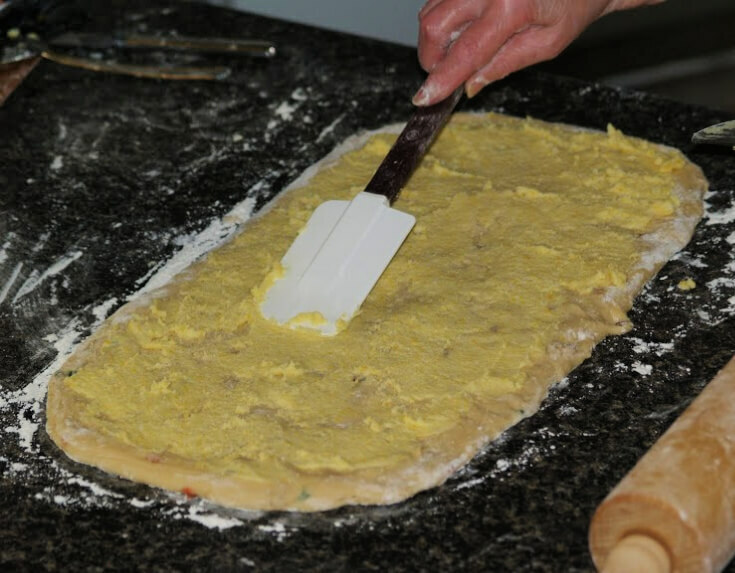 Stir in mixed fruit and enough of remaining flour for a soft dough. Cover bowl with plastic wrap and towel; let rise until doubled about 2 hours. 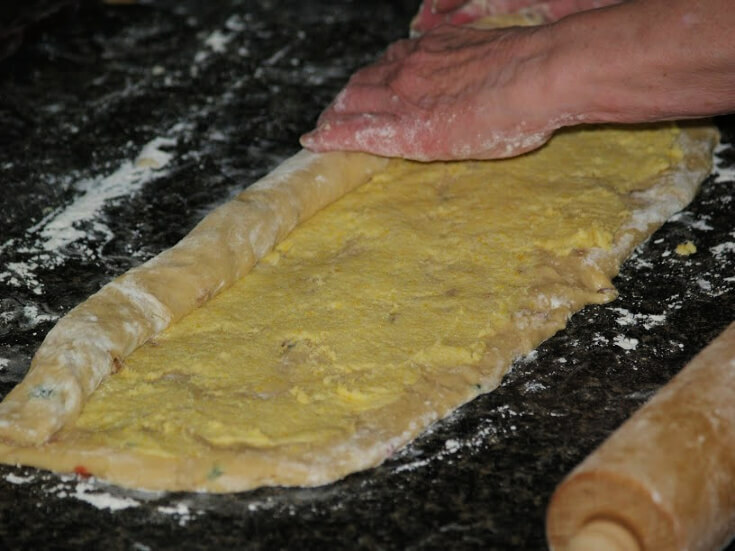 Roll dough to a rectangle about ½ inch thickness. With mixer beat together filling ingredients; spread over the rectangle. Beginning on long side of rectangle roll up like jelly roll. 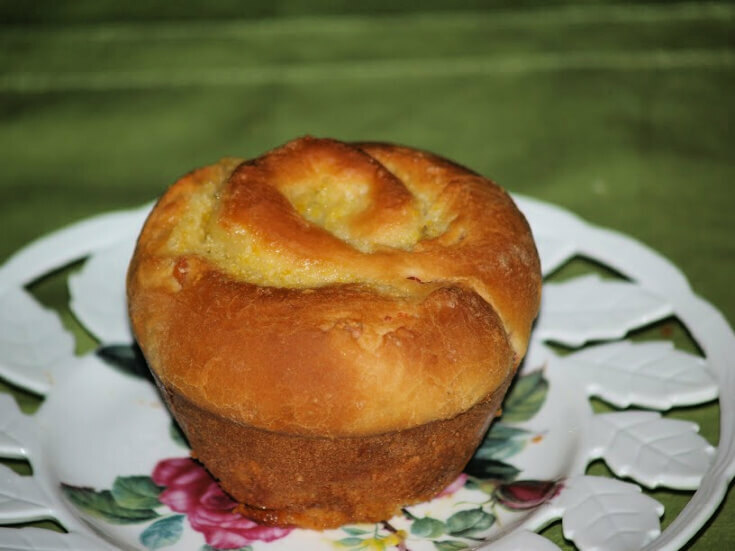 Cut roll into 12 equal slices; place cut side down in large muffin tins. Let rolls rise for 1 hour until doubled in bulk. Good sweet sauces compliment many recipes of traditional Irish food. Combine sugar and water in a larger saucepan. Simmer until mixture begins to turn brown (About 10 minutes). Toward the end it will become foamy and start to darken. As it becomes a medium caramel color turn off the heat. Continue to stir as it will become darker when removed from heat. Carefully (It will spatter at first) add the coffee. Mix well and let cool; stir in the whiskey and refrigerate. NOTE: I add whiskey while hot to let alcohol evaporate; I like the flavor but I do not like alcohol. Corned beef is a very famous traditional Irish food. Place beef in a large Dutch oven; cover with water. Bring meat to a simmer; cover and simmer for 5 hours. Drain meat and place in a baking dish. Score meat and insert whole cloves over the meat. Mix beef stock with remaining ingredients. Cover and bake for 1 hour basting several times. Wash cabbage discarding the core and discolored pieces; cut into quarters. Place about 1 inch water in large pan; add salt and cabbage. Cover and cook just until tender about 10 minutes. Drain cabbage well and chop finely; toss with salt and pepper. Lightly sprinkle corned beef on both sides with pepper. Sauté beef in hot butter quickly on both sides until lightly brown. Remove meat to warm serving platter; keep warm. Place cabbage in same skillet; sauté quickly about 3 minutes. Place cabbage on same platter with corned beef; serves 4 to 6. Lightly grease cookie baking sheet. Sift the flour, sugar, soda, baking powder and salt in a large bowl. Cut in softened butter until crumbly; mix in caraway seeds and raisins. Knead gently about 1 minute; shape into a ball. Place on the baking sheet; flatten to a 7 inch circle (About 1 ½ inch thick). With sharp knife make cuts across the top of loaf. Bake 30 to 40 minutes until golden brown (Loaf with sound hollow). Remove to wire rack to cool; brush with melted butter and dust with flour. In large Dutch oven brown pork cubes in melted butter. Add to pot the onion, celery, garlic and 1 teaspoon salt. Dissolve beef bouillon in hot water; blend into meat mixture. Add the carrots; simmer 45 minutes or until meat is tender. Combine the flour with ½ cup water; mix to smooth paste. Slowly stir paste into meat mixture until thickened. FOR DUMPLINGS sift together the flour, sugar, baking powder, salt and mustard. Stir the caraway seeds into the flour mixture. In another bowl combine egg, milk and melted shortening. Add egg mixture to the dry ingredients; stir until moistened. Drop dough by tablespoonfuls into the hot meat mixture. Cover tightly and steam for 25 minutes; serves 6 to 8. Traditional Irish food certainly includes Doblin Coddle which has been around since the eighteenth century. Cover potatoes for POTATO PUREE with water in saucepan. Add a pinch of salt; bring to a boil and cook until tender (15 to 20 minutes). FOR CODDLE sauté bacon in large skillet 2 to 3 minutes until fat is released. Add diced potato, leek, carrot and thyme; cook 4 to 5 minutes until softened. Add vegetable stock and bring to a boil; REDUCE HEAT to a simmer. Simmer gently about 15 minutes until liquid slightly reduced. NOTE: Vegetables should be completely tender. In hot skillet cook sausages 10 to 15 minutes until thoroughly cooked. FOR PUREE drain boiled potatoes; peel and dice potatoes. In mixing bowl beat potatoes and butter; add milk beating until smooth. Arrange in 4 serving bowls quenelles (Or mounds) of potatoes. Spoon around the quenelles the bacon and vegetable mixture. Cut the sausages on the diagonal and arrange on the top. Garnish with fresh thyme; serves 4. Both apples and rhubarb are often found in traditional Irish food. Cut rhubarb into 1 inch pieces; peel, core and slice apples. Put fruit in a saucepan with sugar, ginger and water; bring to a boil. Cover and simmer for 15 minutes until tender; puree in a food processor. Let puree set to cool. For DOUGH sift flour and salt into a bowl; stir in the sugar. Combine water and butter in saucepan; heat gently until butter melts. Bring to a boil; pour into flour mixture and mix to a soft dough. Quickly roll out 2/3 of the dough; line 7 inch spring form pan. Pour in fruit mixture; roll out remaining dough and cover pie. Seal edges and crimp; make a neat hole in the center for steam. 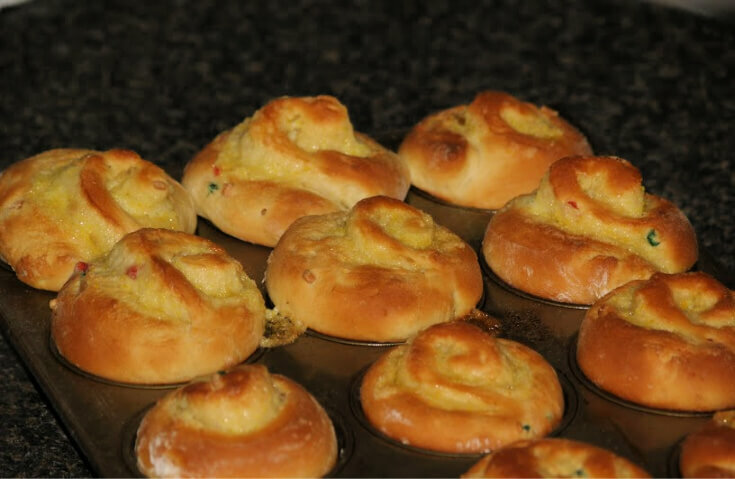 Use remaining dough to decorate top; beat egg and brush over the top. Bake for 1 hour until golden brown; cool in pan.